PayTM, the online recharge provider will now offer recharges for all major Direct To Home television subscribers, including Tata Sky, Dish TV, Airtel Digital TV, Sun Direct, Reliance Digital TV and Videocon D2H at no extra charges. 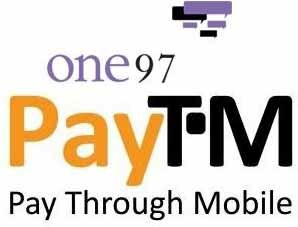 One97’s Managing Director, Vijay Shekhar Sharma said “with customer delight and trust being our foremost success criteria, users will love Paytm’s DTH recharge service.” Patm provides 24×7 customer support and great user experience and has become preferred destination for prepaid recharges on internet and mobile. The company is also giving free coupons worth close to Rs.2000 available on every recharge, making the shopping experience all the more rewarding for the prepaid users. Paytm.com is also planning to launch prepaid recharges through Mobile Applications for smartphones for BlackBerry, iPhone, Nokia and Android devices.